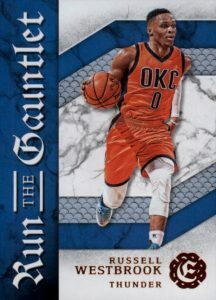 Offering the last retail issue for the '16-17 NBA collecting year, 2016-17 Panini Excalibur Basketball applies the medieval brand to top stars of the sport. 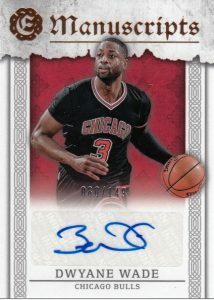 Hobby boxes include two autographs and one relic and there are also several retail formats, each with exclusive elements. 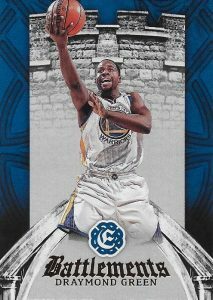 Sporting a new design, the 2016-17 Panini Excalibur Basketball checklist incorporates full-bleed action shots into the base set with 200 cards to collect. Technically an insert, Crusade cards (1:2 packs) supply the more popular "base" set with Opti-Chrome technology and various parallel colors. Choices include base Silver along with Blue (#/149), Red (#/99), Purple (#/49), Orange (#/25), Gold (#/10), and Black (1/1) versions. Carrying over the top option from the 2015-16 product, Kaboom! 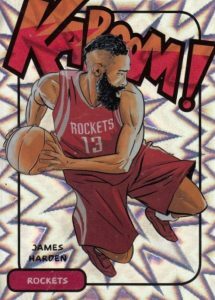 features an original illustrated interpretation of NBA superstars that has the look of heroes in a comic book. These average one per case. Jousting is a new insert that offers a mirror design with a left and right focus for notable players. 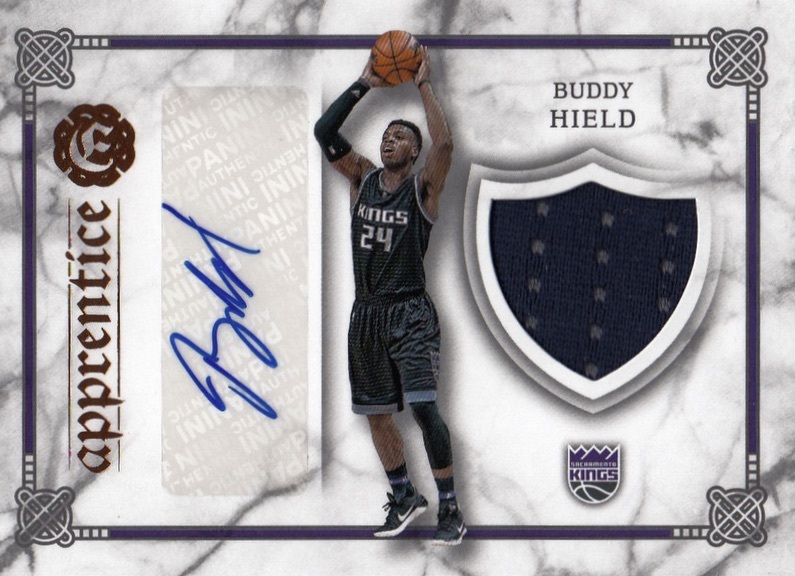 16-17 Excalibur also brings the hits with an expected hobby box yield of two autographs and one memorabilia card. 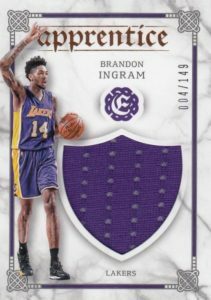 On the signed side, Calligraphy showcases current and retired players while Apprentice Signature Shield debuts with auto-relic cards from the 2016 rookie class. 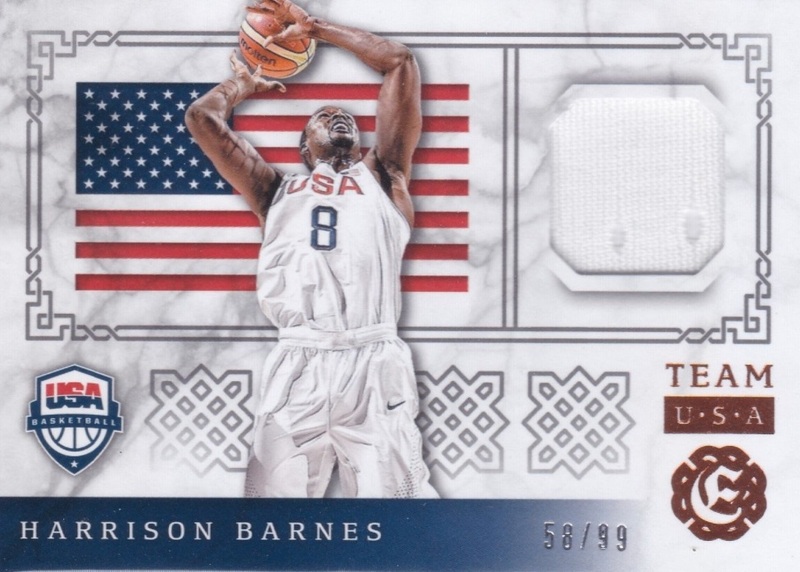 Finally, 2016-17 Panini Excalibur Basketball features die-cut inserts that are exclusive to certain retail formats. Coat of Arms is only found in Fat Packs, while Knight in Shining Armor comes in the regular Retail format and Storm the Castle is a Blaster exclusive. Each of these die-cut inserts also add Blue and Purple parallels. In addition, the Crusade Camo cards are exclusive to Fat Packs and come three to a pack. 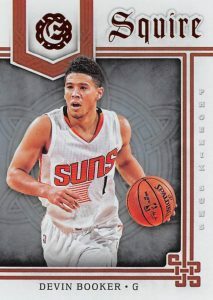 See the 2016-17 Excalibur Basketball cards currently available on eBay. PARALLEL CARDS: Baron, Count, Emperor, Lord (Retail), Viscount (Retail), Marquis #/199, Prince #/149, Duke #/49, King #/10. 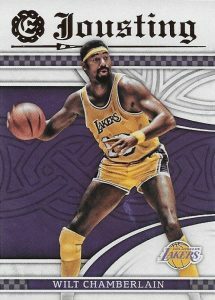 PARALLEL CARDS: Prime #/10 (Murray #/6**). 38 cards. Serial numbered #/99. Shop on eBay. PARALLEL CARDS: Red #/99, Holo Gold #/10. PARALLEL CARDS: Holo Gold #/10, Gunmetal 1/1. PARALLEL CARDS: Blue #/199, Purple #/49. PARALLEL CARDS: Camo (Retail), Blue #/149, Red #/99, Purple #/49, Orange #/25, Gold #/10, Black 1/1. 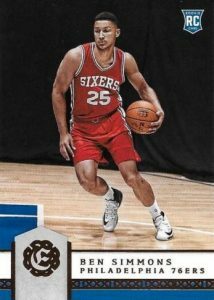 25 cards. Case hit. Shop on eBay. 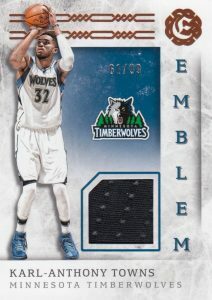 PARALLEL CARDS: Prime #/25 (Towns #/10**). Kabooms are the coolest cards ever made. I wonder why there is no checklist after the product has been released. Nice looking cards just too bad the rookie crop was terrible. 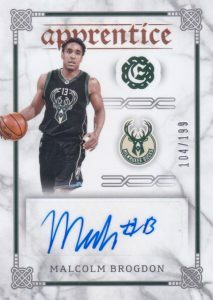 On the other hand the 2017-18 draft class should be a boom for collectors. 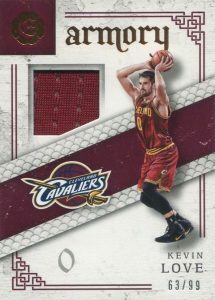 I bought a retail 24 pack box for $60, and my memorabilia card was a Kyrie Irving 25/25. I also got a few LeBron, Curry and Durant inserts plus completed about 80% of the set including a Simmons RC. I think I’m going to buy another retail box or at least a blaster to try and complete it. Been waiting on this. 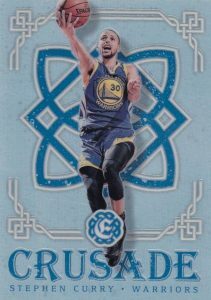 Got a big surprise when I pulled a Anthony Davis Kaboom card from a pack out of a retail gravity feed box last year. Hoping to have some more retail luv this year. Come on Mr. Ingram Kaboom!!! Does anyone know what the “court” means under some of the logos on the cards? 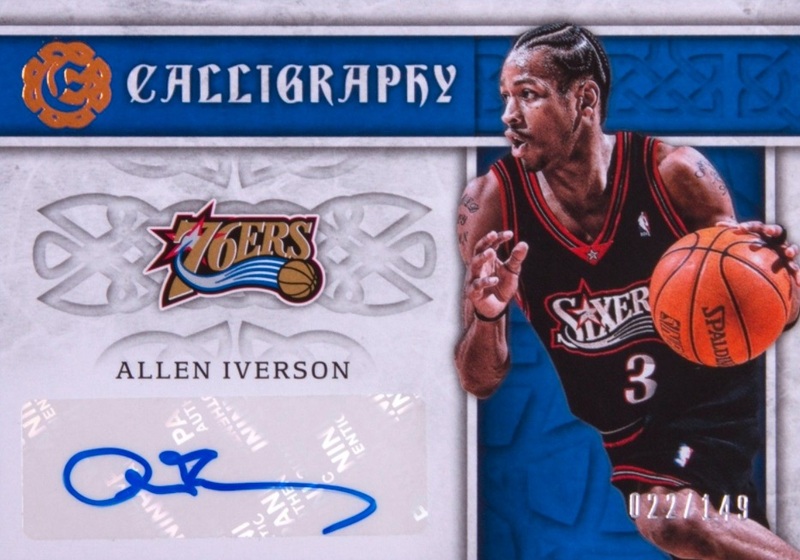 Bob: There are “Count” parallels that have that listed on the front of the card, under the logo. Is this what you are talking about?